Encourage Intuitive Math Skills with #ZapZapMath for Kindergarten! Encourage Intuitive Math Skills with the New Zap Zap Kindergarten Math App! As many of our readers already know, we are champions of the integrated and intentional use of educational technology for Kindergarten kids at home or in the classroom. Purposeful use of creative and intentional educational technology in Kindergarten can be FUN for kids while also encouraging important critical thinking skills. 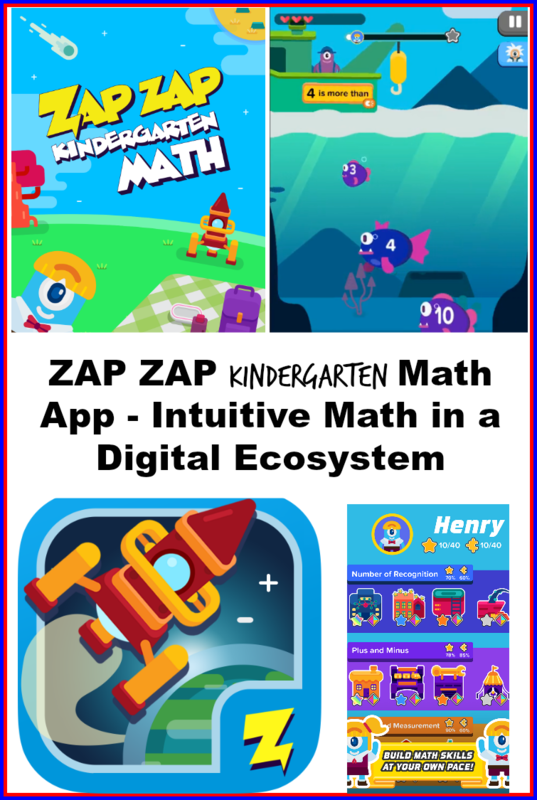 We are pleased to partner with the creators of Zap Zap Kindergarten Math to offer you, our valued colleagues, readers, and fans, a look at the new Zap Zap Math App designed just for Kindergartners. Disclosure: this post and others within the blog contain affiliate/distributor and sponsored links/content. Please see our Disclosures Page for full details. 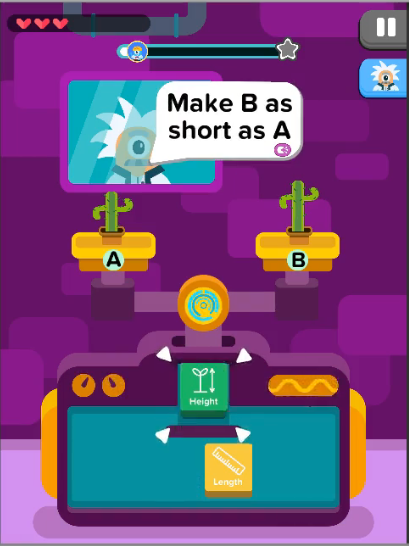 The newly released Zap Zap Kindergarten Math App invites young kids to use intuitive math skills to solve basic problems through a series of FUN math puzzles. Each piece of the puzzle is acquired by successfully completing modules within the digital ecosystem that are aligned with national Common Core standards for Kindergarten. Kids begin play by choosing their own character and a space ship to guide them as they complete various math modules within the app. 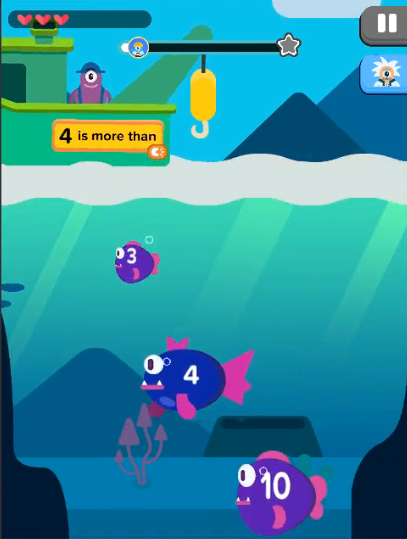 The modules “level up” with more challenging content as kids gain math skills to complete each one. Can the tool be easily integrated into what our kids are already learning? As educators, we must be intentional in our use of all tools (including all digital tools). Does the app accommodate the needs of different learners and abilities? Will our kids have FUN with the digital tool while also building important skills? How usable is the app or tool? Does the digital tool provide assessment for measuring growth and documenting progress for our students? We’d love to see the app thoroughly explore number words for each number 1-10 within its own level. Currently, number words (1-19) are randomly grouped together. We’d like our Kindergarten kids to have success with the number words for 1-10 before moving on to teen numbers. We’d love to see more 5 and 10-frame play. The app does offer some, but we’d like to see more. When kids recognize that 5 and 10 are anchor numbers, important math connections are made. The app does a good job of utilizing a ten-frame in one level, we’d just like to see MORE of it. 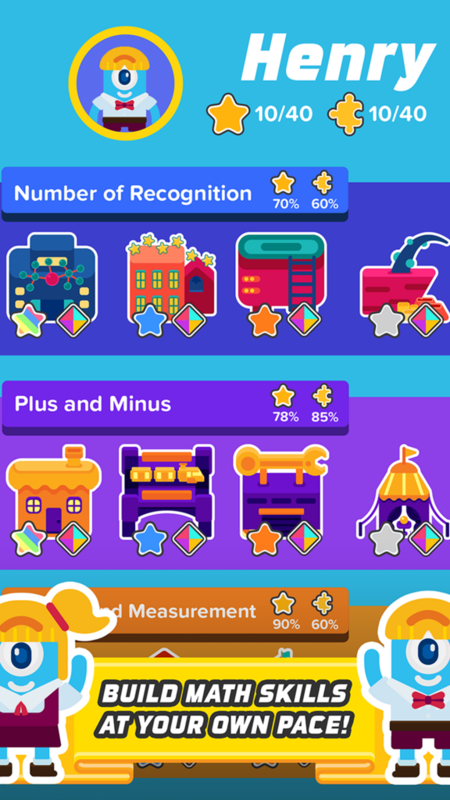 We’d also like to see more practice with shapes that extend beyond triangles, squares, rectangles, and circles (there are a few instances where hexagons or other shapes are given, we’d just like to see more within the app for learners that already have a good grasp on basic shapes. Just 2 levels require touch screen skills that are a little advanced for Kindergartners. On the whole, the app requires very basic touch screen skills (click, drag and drop, and scroll), but 2 levels were a bit too challenging for our K’s to figure out on their own. With a little tech instruction, the given activities were developmentally appropriate and fun to play. 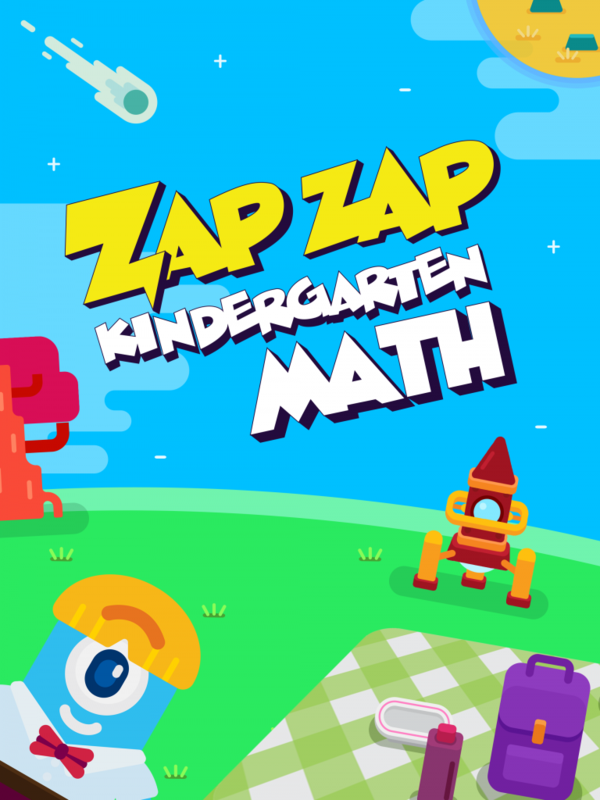 Zap Zap Kindergarten Math is available on iTunes and at the Google Play Store. Kids can practice and play with the math app independently, as a math center choice, or to accompany and enhance math curriculum when classroom or homeschool work is completed. The app is easy to navigate and even kids with limited tech skills will learn quickly. Use the app daily to accompany math lessons and playful learning as skills are introduced at home or in the classroom. Kindergartners will love the game-style challenges to level up. Keep track of classroom progress on a rocket ship bulletin board for math. Try a classroom graph or coordinate efforts with another Kindergarten class or homeschool. The friendly competition is FUN for kids and will challenge them to learn and practice math skills. Invite parents to download the app for extra practice at home or to help kids stay current on skills over summer and holiday breaks. « The Kindness Elves: Encouraging Kindness Through PLAY!